I have never been so ready to see spring come after this bitter winter. I planted early seeds in the garden, and when they didn’t come up fast enough I planted more…and more. Now the garden beds are a jumble of tiny seedlings. I promise them I will sort it all out. Meanwhile I am foraging for the first intrepid plants of the season–wild and cultivated: tiny dark green spikes of chives, crinkled mint leaves, shocking-green sorrel, fragrant chervil, lacy arugula… tender nettles, ramps, and cat-briar leaves from the woods…and abundant watercress from the branch. High above us on the ridge tops the trees are barely leafing out, but spring is happening from the ground up. 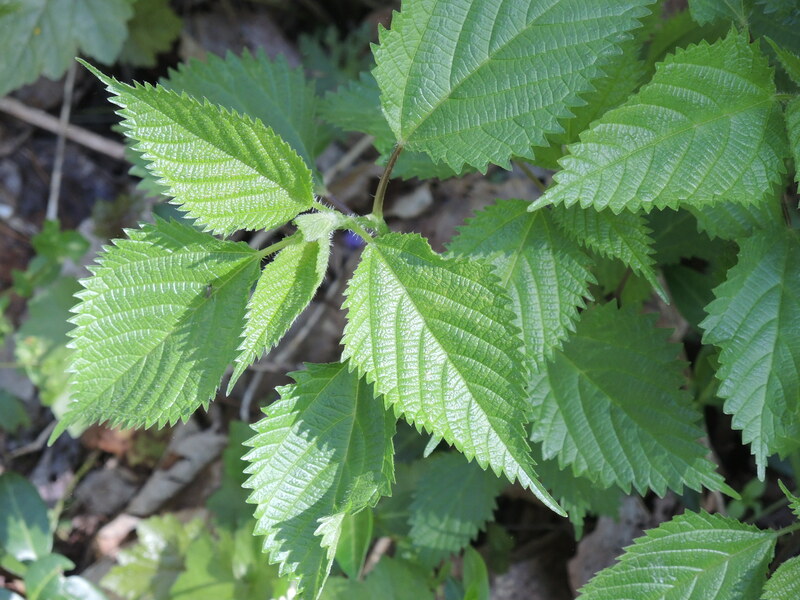 The forest floor is covered with wildflowers, and lively flavors from deep green leaves are there to be gathered if you know where to look. Looking is half the fun. 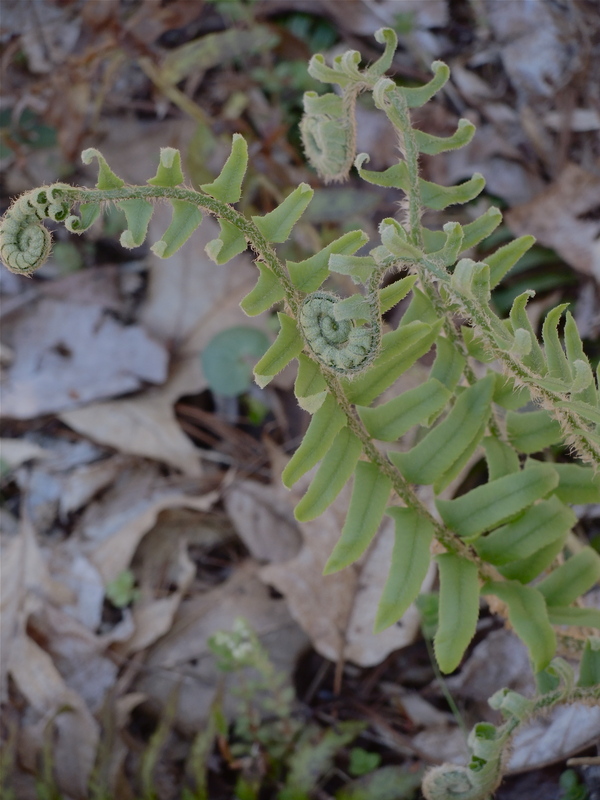 You have to walk carefully in the spring woods because there are so many little plants uncurling from their winter’s sleep. Wild iris and geranium, trillium, Solomon’s Seal, blood root, phlox, rue anemone, trout lily, bellwort…all mixed in with red-tinged poison ivy leaves, stately cohosh, fairy kingdoms of moss, and tangles of fern fronds. 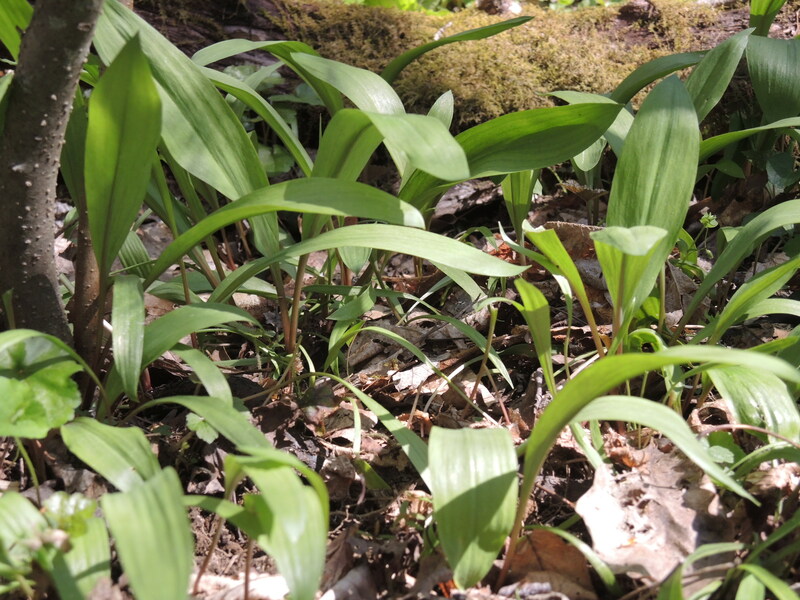 I even found some showy orchis and the newly unfolded leaves of ginseng. 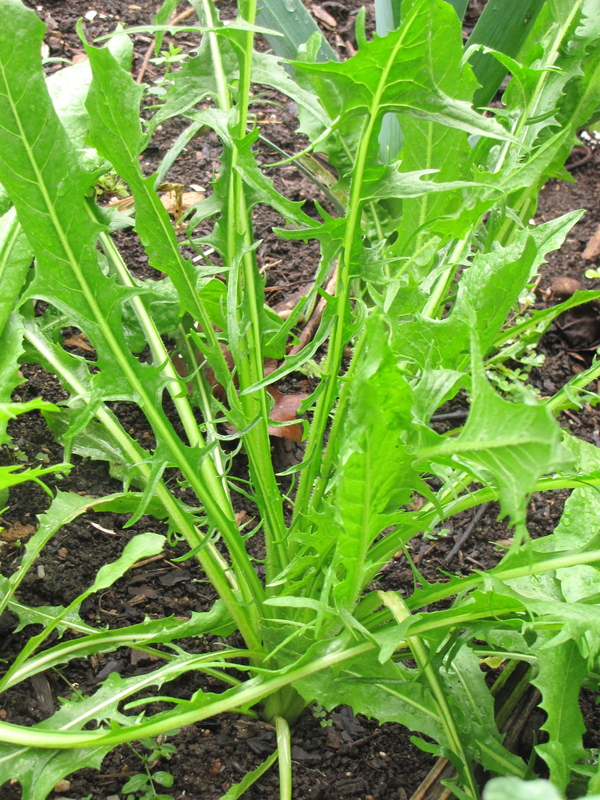 Golden beets (found in miraculously good shape after hibernating in the vegetable bin of the refrigerator all winter!) and oranges provide the two shades of orange for this salad–a riff on a Moroccan ” two shades of red salad” made with beets and tomatoes, found in the cookbook Flatbreads and Flavors by Alford and Duguid. The salad also borrows from the orange and beet salsa from Jerusalem, the cookbook. Place the beets in a saucepan, cover with plenty of water, and bring to a boil. Partially cover and cook at a low boil for 25 to 30 minutes, or until the beets are easily pierced with a sharp knife. Drain, cool, and peel before cutting into 1/2-inch dice. Peel the orange and remove all the pith and seeds. Slice the orange about 1/4-inch thick. Separate the slices into segments, removing tough connective membranes. Add the orange pieces and their juice to the diced beets, along with the onion, chopped olives, and herbs. Toast and grind the coriander and cumin seeds in a mortar and pestle. Add the paprika and chile. Add the peeled garlic clove and pound to a paste with 1/4 tsp salt. Whisk in the lemon juice and oil. Pour the dressing over the beet mixture. Toss gently and season with salt and pepper. Arrange the salad on top of a shallow bowl of watercress or arugula leaves and sprinkle with walnuts. Mild-flavored chickpeas combine well with deep green-flavors of a wide variety of greens including spinach, chard, and kale, as well as foraged greens like nettles, lambs quarters, and coneflower. Watercress adds a welcome bite, and the North African spice blend ras el hanout adds spicy fragrance. Warm the olive oil with the onion in a Dutch oven or other soup pot over medium heat. Cook, stirring occasionally, until the onion is completely soft, 8 to 10 minutes. Add the ginger and garlic and cook about 1 minute. Stir in the ras el hanout, cinnamon, chickpeas, and broth and bring to a low boil. Add the chopped greens and watercress and simmer until the leaves are wilted and tender, 1 to 2 minutes. 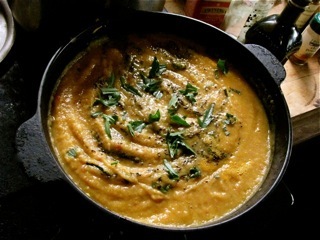 Use a blender or food processor to blend the soup to a smooth puree. Return to the pot to reheat. Season with salt to taste. Serve with lemon wedges and thick yogurt. This is a green salsa/spread for spring…a great topping for bruschetta or crackers. I added frozen edamame from last year’s garden for brighter green color. Cook shelled fava beans in salted boiling water until tender, 1 to 2 minutes. Drain and cool in cold water. Drain again and slip off the outer skin. Chop the garlic and put it in a mortar with the salt. Mash with the pestle to make a paste. Add the rest of the ingredients gradually and use the mortar and pestle or a food processor to make a chunky, spreadable pesto. A kuku is the Iranian version of a frittata, and my Silk Road Cooking book says that a fresh herb kuku is eaten on the spring equinox to symbolize rebirth, fertility and happiness. Preheat the oven to 250 degrees. In a large bowl, whisk together the eggs, cream, flour, baking powder, salt and pepper. Set aside. Heat 2 Tbs olive oil in a 10-inch oven-proof skillet. Add the onions to the skillet and cook 4 to 5 minutes. Add the ramp leaves or chives and cook 1 minute. Add the greens and cook until just wilted. Stir in the fresh herbs and currants. Stir the onion-herb mixture into the beaten eggs. Clean the skillet and return it to the heat and add the remaining 1 Tbs olive oil. When hot, pour in the egg mixture and transfer the pan to the oven. Cover and cook 15 minutes. Remove the cover and continue to cook about 5 more minutes, until the eggs are just set. Cut the kuku in thin slices and eat with bruschetta or flatbread, with a dollop of yogurt sauce. Put the garlic and salt in a mortar and mash the garlic to a paste. Add the rest of the ingredients and stir to combine. Who would not want to make this soup? “Cooking for friends” is one of the best ingredients for any recipe. It’s right up there with love and joy, and a good way to insure plenty of the latter ingredients. While we were in Paris, Rick’s dear friends Marie and Jean-Charles came to visit, and Rick embarked upon a cooking odyssey. It was an all-day event that involved more than one trip to the market, improvisation, several bottles of wine, and much love and joy–especially on the part of who got to eat Rick’s fish soup. Luckily for Rick, the outdoor market fell on the day of his extravaganza. 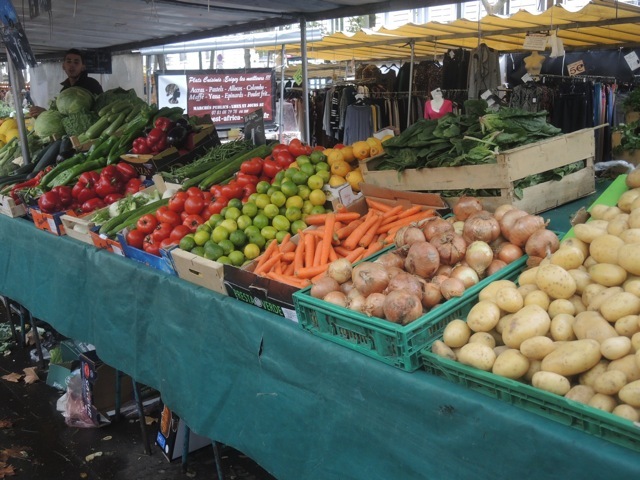 The Bastille Market is renowned even among the Paris markets, and stretches from the neighborhood of our apartment all the way to the Bastille, half a mile away. 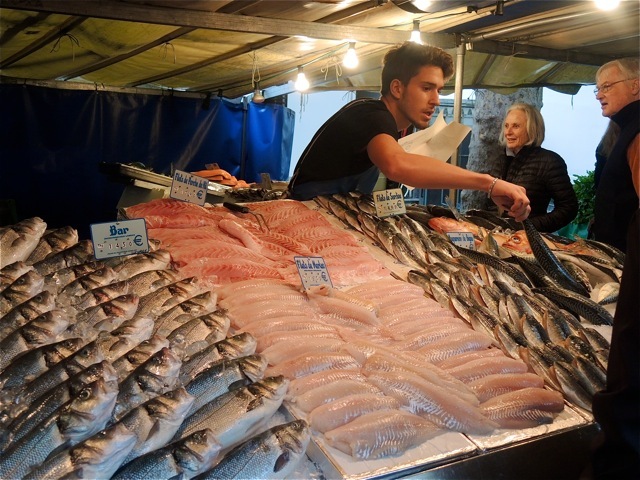 The fishmongers’ stalls are extraordinary, with fish so fresh they seem to have just jumped off the boat. 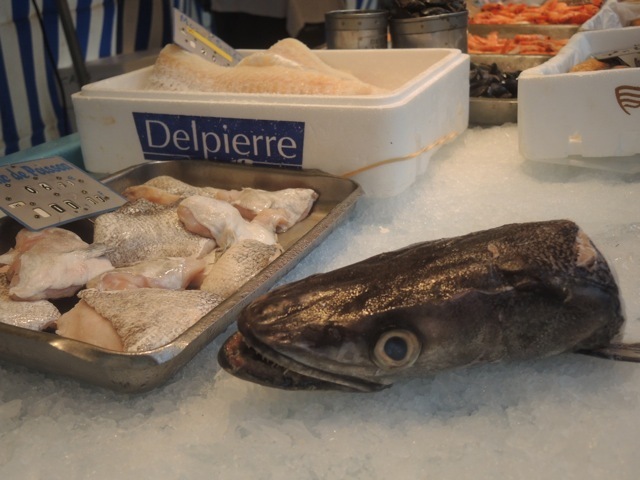 Six-foot eels wind their way around the piles of seafood, and giant fish with giant eyeballs stare at you from their beds of ice. Rick went early and chose cod, snapper, scallops, and shrimp. He filled his shopping bag with onions, potatoes, red and green peppers, tomatoes, and a bundle of fresh thyme and set off for the kitchen. Rick’s cooking brought to mind the musings of Michael Pollan in his book about making food, titled Cooked. He wrote, “Time is the missing ingredient in our recipes–and in our lives.” Rick didn’t need to spend all day cooking to make this stew, but he did. There is something very wonderful about spending a day in the kitchen cooking for friends and infusing ingredients with love and joy. Another thought from Pollan: “Great cooking is all about the three “P’s”: patience, presence, and practice.” Rick used all three. Rick’s fish soup was very much in the spirit of using the catch of the day. He chose ingredients that called to him at the market, took them home, and turned them into a wonderful stew. Fish stew lends itself to a gathering of friends because it is best made in a wide, generous pot that allows the precious seafood to poach gently in the broth at the very end of cooking. Rick made enough for six, well-satisfied people. Warm the olive oil in a large stockpot or Dutch oven. Stir in the onion and sauté 8 to 10 minutes, until soft and translucent. Add the anchovy paste or chopped anchovy fillets (here’s where Rick had to use a handful chopped oil-cured black olives to get the briny flavor he wanted because in the Paris markets, anchovy paste n’existe pas) and stir until they meld with the onions. Stir in 1 tsp thyme leaves and the garlic; continue cooking 1 to 2 minutes. Add the peppers and potato; stir a few minutes longer and add the wine. Let the wine simmer for a few minutes and add the tomatoes and their juice. Add water or broth if more liquid is needed to barely cover the vegetables. Cook at a low, steady simmer for 20 to 30 minutes, or until the vegetables are tender. Season with salt, freshly ground black pepper, and the rest of the thyme. Cover and reduce the heat to very low. You can turn off the heat and go out to the market for more wine at this point, if you like. Bring the soup back to a simmer and add the scallops and shrimp (being denser, they take slightly longer to cook, so are added first). Cover and cook 3 minutes. Cut the fish into 1-inch cubes or slices and season lightly with sea salt. Carefully add the fish pieces without stirring. Cover and cook about 3 minutes more. Stir in the cream and a pinch or two pimente d’espelette or smoky Spanish or Hungarian paprika.ungarian paprikapppap Sprinkle the soup with parsley and serve with a loaf or two of crusty bread and a few bottles of cherished wine. Rick’s masterpiece inspired me to make a fish stew to share with friends when we returned home. The origin of fish soups from Italian brodetto to French bouillabaisse lies in the answer to the question, “What do I do with all the little fish left in the net after I’ve sold all the big fish?” Traditional recipes call for fish stock made with fish heads and bones, as well as a dozen or more varieties of fish and shellfish for the stew, all contributing to the many-layered flavor of the finished soup. Unshelled shrimp, mussels, and clams and very small whole fish make the most flavorful broth. 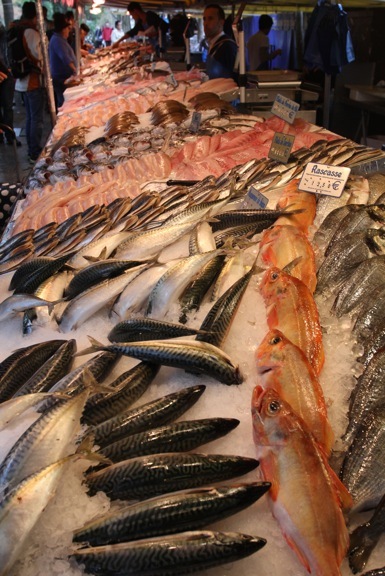 Alas, most of us don’t live in fishing villages and have a much more limited choice of fish. But, after sampling Rick’s wonderful soup, I knew I didn’t need an ocean of fish to make a tasty stew. I went fishing at Trader Joe’s and Whole Foods; then I went fishing for recipes to match my catch. I turned to a recipe from John Ash, originally printed in Fine Cooking magazine, for turning chicken stock into a flavorful broth using shrimp shells. The stock is used to make broth for his version of Cioppino, a San Francisco-style fish soup. Peel the shrimp, reserving the shells. Refrigerate the shelled shrimp to add to the soup later. Simmer the shells in chicken broth for 5 to 10 minutes, covered. Strain and refrigerate or freeze until ready to use. I was able to test this recipe using trout heads from the giant trout lurking in our pond, known as “Troutzilla”. I simmered trout heads with chopped onion, carrot, celery and garlic in homemade chicken broth for about 15 minutes. Then I threw in a handful of dried bonito flakes for extra umami and let the broth steep another 5 minutes before straining. In the olive oil in an 8-quart or larger pot over medium heat. Add the onion, carrot, celery or fennel, and garlic. Cook, stirring occasionally, until the vegetables are lightly browned, about 15 to 20 minutes. Add the tomatoes and their juices, wine, shellfish stock, bay leaves, thyme, fennel seeds, chile flakes, 1 tsp salt and 1/2 tsp cracked black pepper. Bring the liquid to a boil, then reduce the heat and maintain a low simmer for about 20 to 30 minutes. Strain the broth, pressing the solids to extract all the liquid. Discard the solids and return the broth to the pot. Boil until reduced to 8 cups. Taste and adjust the seasonings. This broth may be made ahead of time and refrigerated or frozen. *Use whatever fresh seafood is available. Note: Adding more vegetables is optional. You can and go straight to cooking the seafood in the prepared broth, if you like. Cut the potato into 2/3-inch cubes. Trim the fennel bulbs and cut into very thin wedges. Warm the olive oil in a wide sauté pan or large Dutch oven over medium heat. Stir in the garlic and cook 1 minute. Add the potato, fennel, and chopped preserved lemon and cook 4 or 5 minutes. Add the strained broth, bring to a simmer, then cover and cook over low heat 12 to 15 minutes, until the vegetables are barely tender. Add the tomatoes and paprika and simmer 4 to 5 minutes more. Now cook the seafood. Add the scrubbed clams to the simmering broth and cook until they open, 3 to 5 minutes. 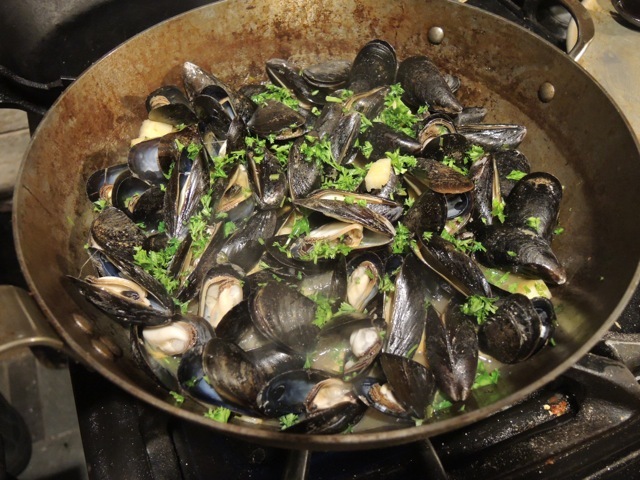 Add the mussels and cook another 2 to 3 minutes. When all the shellfish have opened, add the fish and shrimp, trying not to break the pieces. Cover, and cook 3 to 5 minutes, until barely cooked through. The fish will continue to cook in the hot broth until served. 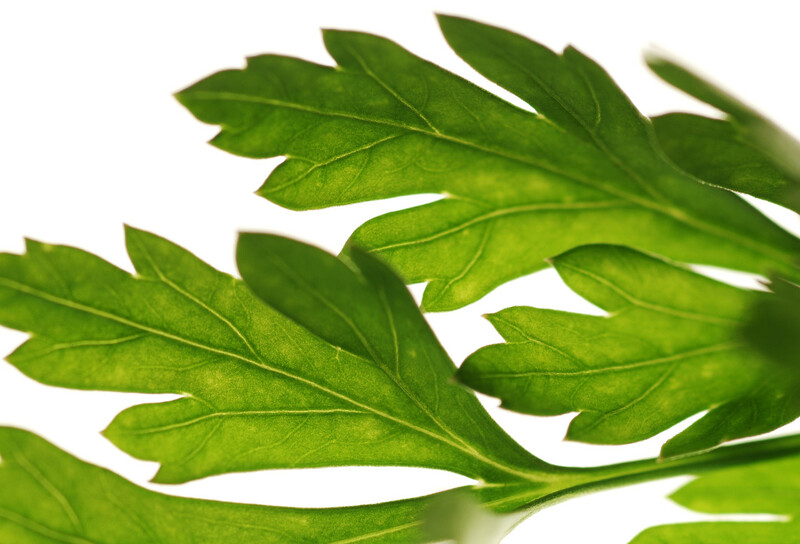 Garnish with chopped parsley and tarragon. Serve with couscous or crusty bread o sop up the broth. 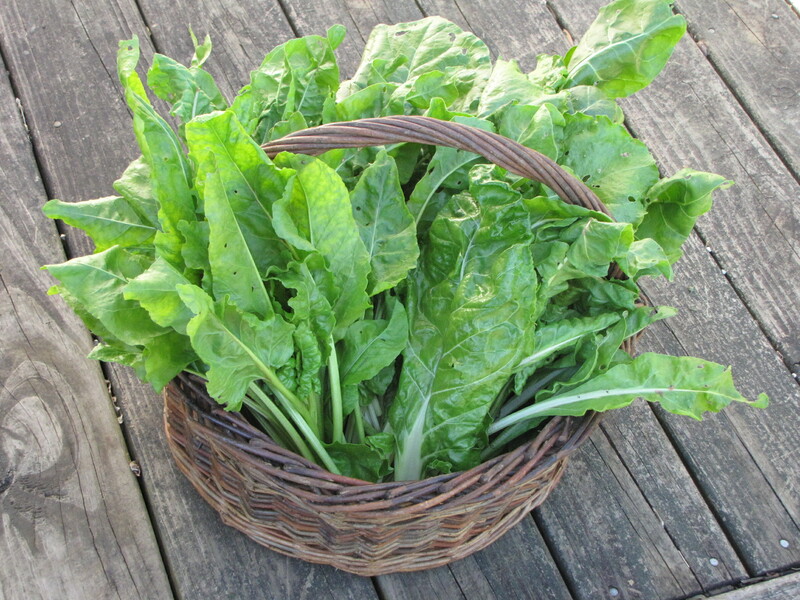 It’s the end of winter–the season of the root cellar. That’s where I go for the ingredients for winter soups: potatoes, parsnips, carrots, turnips, cabbage, winter squash, onions, and leeks. These are humble ingredients, full of mellow, earthy flavors. These understated flavors beg for some pizzazz, so cooking with them provides a perfect opportunity to play with spices. Lentils and Indian dals (beans) combine well with winter vegetables, so making curry powders and spice blends is a natural path to follow. 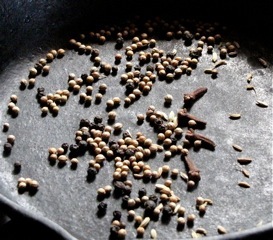 Spice Basics: Spices begin to lose their flavor as soon as they are ground (that’s one reason it is so satisfying to use a mortar and pestle –you get to enjoy the wonderful aroma of fresh spices as they are ground). Start with whole spices whenever possible and grind them in small amounts. To get the most fragrant spices, shop from mail-order sources or stores with customers who appreciate spices and buy them frequently. Protect all spices from air, light, and heat. Releasing Flavor: Before spices can impart their full flavor to foods, they need a little help. Cracking, grinding, dry-roasting (toasting), and blooming are all methods of releasing the flavors of spices. *Grinding, Cracking, Crushing: These methods release aromatic oils. Coarsely ground or cracked spices add little jolts of flavor and interesting texture to a dish. A fine grind can be more subtle and blends in more evenly. I usually toast (dry roast) whole spices before grinding to use in marinades or add to dishes near the end of cooking. *Dry roasting: This method toasts whole spices without oil or liquid, transforming spices the same way toasting bread does. It is best to toast each kind of spice separately, as they require different amounts of time. Heat a dry, heavy bottomed skillet over medium heat. Add the whole spice and stir or shake the pan continually to prevent scorching. Toast until the spices are fragrant and lightly browned. Transfer immediately to a spice grinder or mortar and allow to cool before grinding. *Blooming: Cooking whole spices in oil extracts flavor and aroma quickly. Warm a few Tbs oil in a pan over medium heat. Add whole spices to the pan and cook until small bubbles rise around the spices. Turn the heat down or off and stir a minute or so until the spices are fragrant but not browned. Bloomed spices can be the way to begin a recipe, or poured over the top of a finished dish (spice oil for finishing is called Tarka). Ground spices made into a paste with moist ingredients like garlic, ginger, and fresh herbs and chiles are also bloomed at the start of cooking. Playing with spices: Start with one or two spices at a time. Cumin, either whole or ground, is friendly presence in a wide variety of dishes. 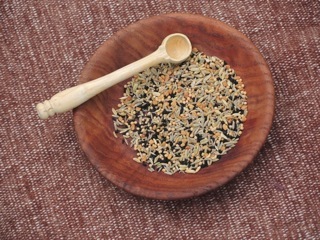 Cumin and coriander or cumin and mustard seed enhance each other, and the three spices are often used together. Their flavors are companionable and taste earthy and warm. Fennel is another easy-to-add spice that is welcome in food from Italy to India. Start small. A little can go a long way. A good way to experiment is to toast and grind the spice or spice mixture to a powder. Add a pinch or two at the end of cooking, stir and taste. You can always add more. Adding spices to a bowl of potato soup or other simple stew can be a revelation. Or, put a few pinches of whole spice into the oil at the start of a stir-fry or braise; cook about 30 seconds before adding other aromatics. A hearty mixture of grains, lentils, and chickpeas, Harira is a Moroccan soup commonly served during the fasting month of Ramadan. This is an excellent soup for a blustery winter night, with or without the meatballs. Baharat is an Arab spice mix. Baharat: 1 tsp black peppercorns, 2 tsp coriander seeds, 1 3-inch cinnamon stick, 5 or 6 whole allspice or cloves, 2 tsp cumin seed, seeds from 2 cardamom pods, 1/2 tsp grated nutmeg. Break the cinnamon stick into pieces. Dry-roast all the spices except the cardamom and nutmeg. Grind to a powder in a spice grinder. 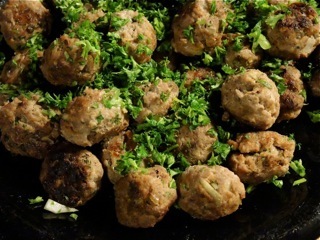 Meatballs: 8 oz ground beef, 6 to 8 oz ground lamb or turkey, 1 small chopped onion, 2 finely chopped garlic cloves, 1 beaten egg, 4 Tbs bread crumbs, 1/2 cup chopped fresh herbs (parsley, cilantro, mint, thyme), 2 tsp Baharat spice mix (or 1 tsp ground cumin and 1/4 tsp each ground cinnamon, allspice, and nutmeg), 1/2 tsp salt, and 1/2 tsp freshly ground black pepper. Put all the ingredients together in a bowl. Mix with your hands and shape into small balls about 1-inch in diameter. Warm 2 Tbs olive oil over medium heat in a large skillet. When the oil is hot, fry the meatballs until browned on all sides. Set aside. Ingredients for soup: 2 Tbs olive oil, 1 large chopped onion, 2 cloves chopped garlic, 1 cup diced carrots, 3/4 cup chopped celery, 1 cup diced parsnip, 1 cup brown lentils, 1 cup barley, farro, or bulgur wheat, 4 cups vegetable, chicken, or meat broth, 2 cups water, 1 1/2 cups diced fresh or canned tomatoes with juice, 1 Tbs tomato paste, 2 tsp ground coriander, 1 2-inch cinnamon stick, 1 tsp salt, 2 tsp Baharat, 1 1/2 cups cooked chickpeas, chickpea liquid or water to thin soup, 1 cup chopped parsley leaves, 1/2 cup chopped coriander leaves, salt and black pepper. Lemon wedges for serving. 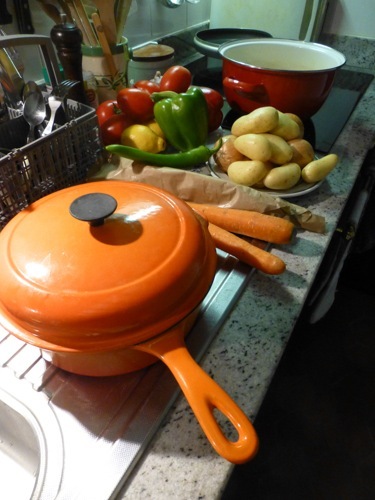 Warm the oil in a large Dutch oven or soup pot over medium heat. Stir in the onion and cook until softened, 5 or 6 minutes. Add the garlic and cook one minute. Stir in the carrots, celery, and parsnips and cook 2 to 3 minutes. Stir in the tomatoes, tomato paste, ground coriander, cinnamon stick, and salt. Cook 1 or 2 minutes. Add the grain and stir for a couple of minutes. Add the broth, water, and the lentils. Bring to a boil, cover, and simmer gently over low heat 20 to 25 minutes. When the grain is barely tender, add the Baharat, meatballs, chickpeas, and more liquid as needed. Simmer another 15 to 20 minutes, until the grain is fully cooked. Stir in the fresh herbs and season to your taste with salt and black pepper. Marcella Hazen wrote in her cookbook of Classic Italian Cooking, “Soups are where good leftovers go when they are reborn.” Leftovers from a dinner of rice, dal, and curried vegetables found a new home in this culinary collision of Indian curry and Middle Eastern spiced chickpeas. Dry roast the spices (except the nutmeg and chiles). Transfer to a spice grinder and grind to a fine powder. Curry ingredients: 2 Tbs butter, 1 Tbs vegetable oil, 1 tsp whole cumin seed, 1 tsp whole coriander seed, 1 tsp whole black mustard seed, 1 thinly sliced medium onion, 1 minced small hot chile, 2 Tbs grated ginger, 2 cloves crushed garlic, 1 1/2 cups fresh or canned diced tomatoes, 2 carrots cut in 1/4-inch slices, 1 lb potatoes (or winter squash) cut in 1-inch chunks, 1 medium head cauliflower cut into florets, 1 tsp salt, 1 1/2 cups water or broth, garam masala, 1 1/2 cups cooked chickpeas (1 15-oz can), 1 tsp whole cumin seed, 1/4 tsp red chile flakes, chopped fresh coriander, parsley, and mint leaves, and yogurt. Warm the butter and oil in a Dutch oven over medium heat with the whole spices. When they are fragrant and sizzling, stir in the onion and cook 5 or 6 minutes. Add the chile, ginger and garlic and cook 1 minute. Add the tomatoes and their juice and heat to a simmer. Stir in the carrots, potato, and cauliflower and stir to combine. Sprinkle with salt and the water or broth. Cover, and simmer 20 to 25 minutes, stirring once or twice. When the potatoes (or squash) are tender, gently stir in 1 tsp garam masala. Taste, and add more spice or salt if desired. Simmer 5 more minutes over very low heat. While the vegetables cook, make the spiced chickpeas: Put the drained chickpeas in a bowl and toss with 1 tsp garam masala (or 1 tsp ground cumin seed, 1 tsp ground allspice, and 1/2 tsp ground cardamom), and 1/4 tsp salt. Warm 2 Tbs olive oil with 2 cloves minced garlic and 1/4 tsp red chile flakes in a skillet over medium heat. Cook about 1 minute, then stir in the chickpeas. Cook 2 or 3 minutes, shaking the pan or stirring to toast evenly. Add the chickpeas to the curry. Sprinkle the top with a handful of chopped fresh herbs. I added the leftover moong dal (red lentils) to the stew, as well. To try that incarnation, cook 3/4 cup well washed dal in a saucepan with 4 cups water. Bring to a boil and add 2 bay leaves and a small stick cinnamon. Simmer until the dal is tender, about 25 minutes. The dal should be thick but soup-like. Remove the bay and cinnamon. Stir in 1/4 tsp turmeric and 1/2 tsp or more salt, to taste. Stir the cooked dal into the vegetable curry before adding the chickpeas. Made with quick-cooking dal (small lentils, beans, and peas used in Indian cooking) and a generous amount of winter root vegetables, this soup is a lovely, warm yellow. 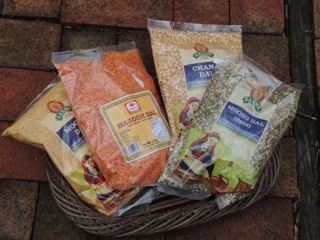 Make your own Sambhar Masala, or substitute another curry powder. Dry roast the dal or split peas over medium heat, stirring constantly for 2 to 3 minutes. Add the coriander, peppercorns, and fenugreek. Continue to stir 2 to 3 more minutes, until the spices are fragrant and lightly browned. Transfer to a mortar or spice grinder. Dry roast the dal, cumin, and mustard seeds. Combine with the other spices, red chiles (remove seeds for less heat), and curry leaves. Grind to a fine powder and stir in the turmeric. Wash the lentils well, drain, and set them aside. Warm the oil in a Dutch oven or soup pot over medium heat. Add the onion and carrot and cook 8 to 10 minutes, stirring occasionally. Stir in the ginger, garlic, and jalapeno. Add a few Tbs water, sprinkle with salt, and cook 1 minute. Add the potatoes or parsnips, the lentils, and 6 cups water or broth. Bring to a boil, and simmer partially covered for 25 to 30 minutes, stirring once or twice. When the lentils and vegetables are tender, stir in the spice mix, chopped tomato, and tamarind or lemon juice (tomatillo salsa is good, too). Simmer 5 to 10 more minutes. Puree the soup and check the seasoning. Serve with a dollop of plain yogurt or yogurt sauce. 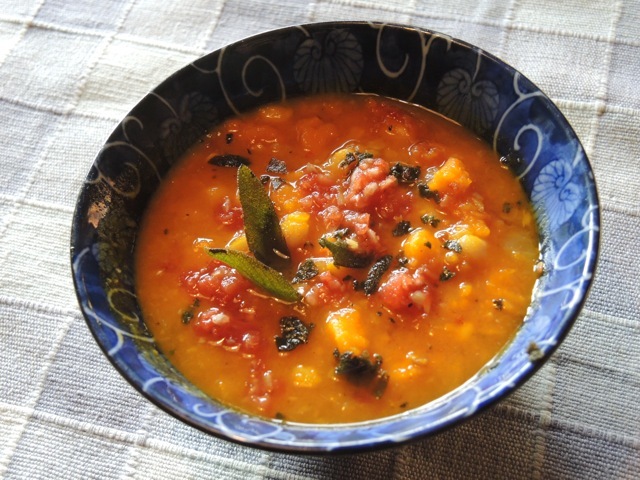 Make a Tarka for this soup: Heat 2 Tbs oil in a small skillet or saucepan. When the oil is hot, add 2 tsp black mustard seed. Cook until they begin to pop. Add 1 tsp cumin seeds and cook about one minute. Pour the tarka into the soup, stir well, and serve. I just discovered the Bengali 5-spice mix at my favorite store for all things Asian, so I had to use it. Bright orange Kabocha squash lends sweetness and color. Spices add fragrant warmth. Dry roast the cloves, cinnamon (broken into pieces), and Sichuan pepper. Use a spice grinder to grind all the spices to a fine powder. 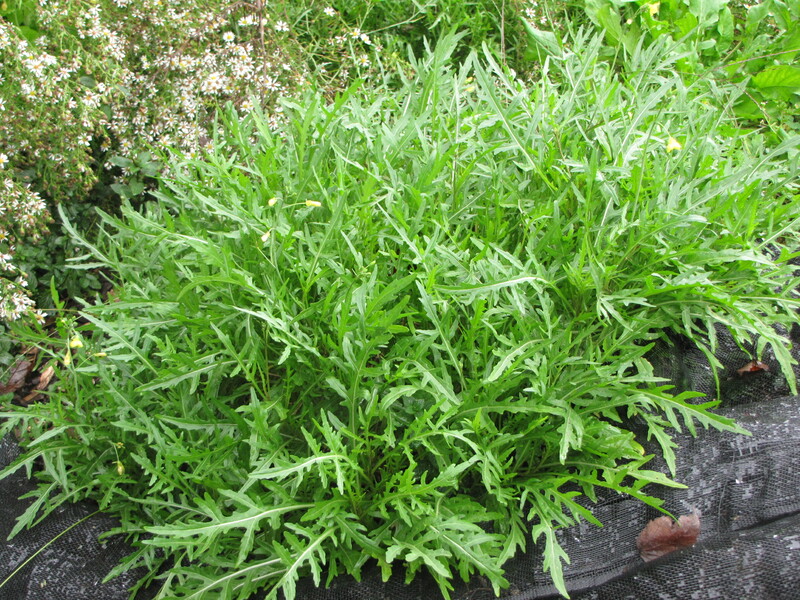 This mixture of whole seeds is bloomed in oil to make a flavor base for braises, soups, and stir-fried dishes. Put the split peas in a large saucepan and cover them by 2 inches with boiling water. Cover and let sit for 2 hours or longer. Warm the butter and olive oil in a Dutch oven or soup pot. Add the cumin seed and cook 30 seconds. Stir in the onion and cook over medium-low heat 5 or 6 minutes. Add the garlic, and ginger. Cook 1 minute. Drain the split peas and add them to the pot with 1 tsp salt and 6 cups water or broth. Bring to a boil, then cover and simmer 20 minutes. Add the squash and 5-spice powder. Simmer 20 more minutes until the squash and peas are completely tender. Puree the soup in a blender with the orange juice. Season to taste with salt, orange zest, and lime juice. Serve with yogurt sauce. Plain yogurt is fine, and yogurt sauce is even better. Mix 1 cup thick plain whole-milk yogurt with 1/4 tsp freshly ground black pepper, 1/2 tsp toasted and ground cumin seed (or 1/2 tsp freshly made spice powder), 1/2 tsp lemon or lime zest, a few Tbs chopped chives, mint, or cilantro, and salt to taste. Variation: Add 2/3 cup finely chopped radish, or cucumber. This is the time of year every gardener wonders what to do with all the vegetables piling up outside the kitchen door. Make soup! All these soups are wonderful hot or cold, and any extra freezes well. 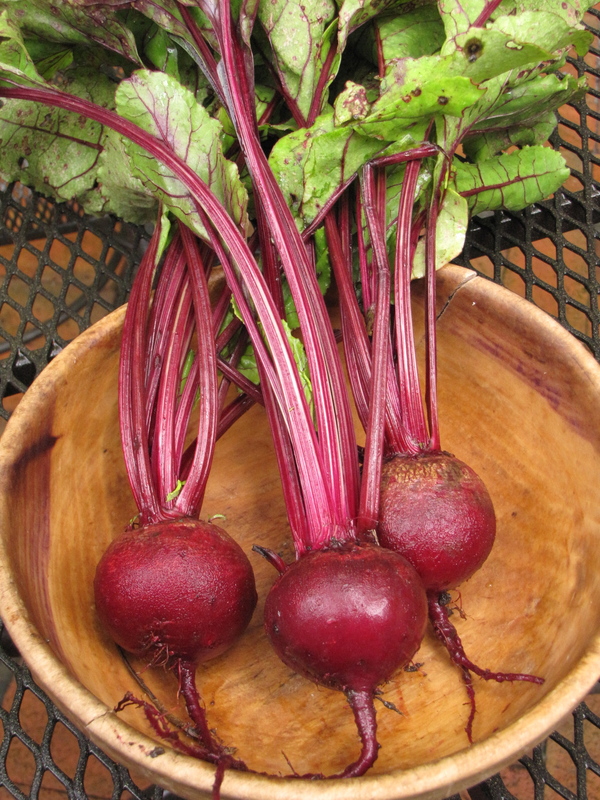 A mixture of red and gold beets is extra beautiful and delicious. Warm 2 Tbs extra virgin olive oil (or other vegetable oil) in a large pot over medium heat. Sauté 1 large onion (quartered and thinly sliced), 2 diced carrots, 1 thinly sliced celery stalk, and 2 bay leaves until the onion is softened, 5 or 6 minutes. Stir in 2 thinly sliced garlic cloves, 1/2 tsp freshly ground black pepper, 1 tsp ground cumin seed, 1 tsp smoked paprika or Aleppo pepper, 1 tsp ground coriander seed and 1 tsp salt. Cook 1 minute. Add 6 cups chicken or vegetable broth and bring to a boil. Add 1 to 1 1/2 pound beets, peeled and cut into 1/2-inch chunks (about 3 1/2 to 4 cups), 2 medium new potatoes, cut in 3/4-inch cubes, and 1/2 head thinly sliced cabbage (about 3 cups). Cover the pot and simmer 45 minutes. Add 1 cup chopped beet greens and 1 cup diced tomato (fresh or canned). Add more broth or water if the soup is too thick. Simmer 5 minutes, or until all the vegetables are tender. Stir in 1/4 cup chopped fresh dill, 1 Tbs cider vinegar, and 2 tsp balsamic vinegar. Taste for seasoning and add more salt or vinegar to taste. Serve with sour cream or yogurt sauce and finely chopped green onions. Mix together 1 cup whole milk yogurt, 1 garlic clove mashed to a paste with 1/4 tsp kosher salt, 1/2 tsp ground cumin seed, 2 tsp fresh lime juice, 1 tsp lime zest, and 2 Tbs chopped dill or mint. I love summer squashes in all their many shapes and colors–they are spectacular in the garden. 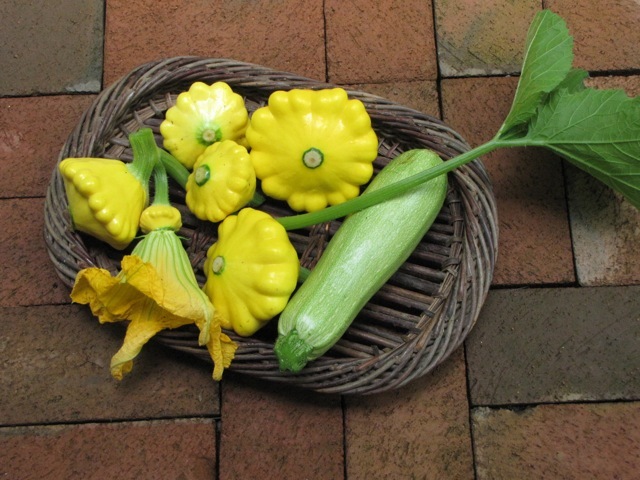 This year I am growing a beautiful patty pan type called “Sun Burst”, as well as “Italian Striped” and “Salman”zucchini. This soup will be pale yellow or pale green, depending on the type of squash available. Warm 1 Tbs extra virgin olive oil and 1 Tbs butter over medium heat in a large pot. Stir in 1 large chopped white onion. Sauté until the onion is softened, about 5-6 minutes. Add 2 thinly sliced garlic cloves, 1 Tbs finely chopped fresh ginger, and 1 seeded and chopped jalapeno pepper; stir 1 minute. Add 1 1/2 lbs (about 2 quarts chopped) summer squash and stir to coat with the oil. Sprinkle with 1 tsp kosher or sea salt. Add the spices: toast 1 tsp cumin seed and 1 tsp coriander seed on an iron skillet over medium heat until fragrant, shaking the pan or stirring constantly. Transfer to a mortar or spice grinder and grind to a fine powder. Stir in 1 1/2 tsp paprika, 1/2 tsp turmeric, a very small pinch of cardamom, and 1/4 tsp cayenne. Stir the spices into the vegetables. Add 3 cups chicken or vegetable broth and bring to a boil. Reduce the heat and simmer 15 to 20 minutes, or until the vegetables are completely tender. Remove from the heat. When cooled slightly, puree the soup in a blender. Adjust the seasonings by adding a bit of curry powder or a spoonful of tomato paste or salsa. Blend in 1 cup whole milk yogurt and add salt and black pepper to taste. Return the soup to the pot and stir in 1 to 2 Tbs fresh lemon juice. Gently reheat before serving, or cool and serve at room temperature or chilled. Garnish with chopped chives and cilantro leaves and swirl in some Cilantro-Mint Pesto. 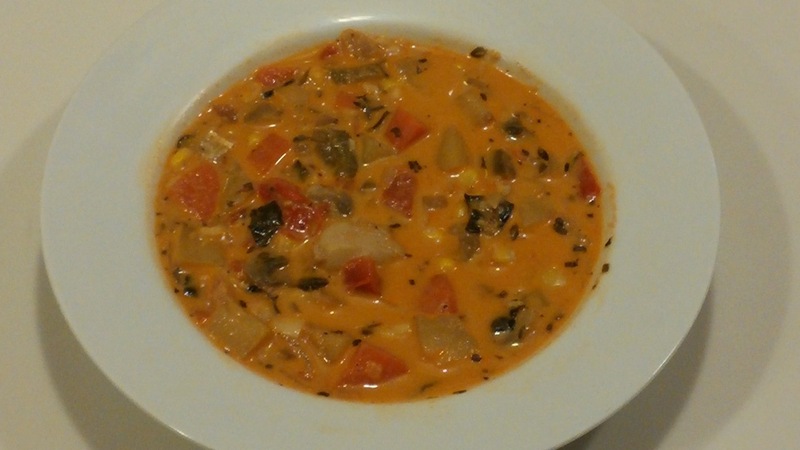 A cooked gazpacho…or is it a borsht? This Gazpacho is chunky and hearty, made smoky by grilled vegetables and a chicken broth made from the flavorful remains of garlic-herb grilled chicken. Make the chicken broth by simmering the carcasses of two grilled chickens in a crock-pot overnight. Strain the broth and refrigerate. When cool, remove the fat from the surface. I freeze the broth in ice cube trays; the frozen broth cools the soup when it goes in the blender with the vegetables. Heat a gas or charcoal grill while you prepare the vegetables. Chop the herbs; seed and chop the hot chiles. Mash the garlic to a paste with 1/4 tsp kosher salt. Combine the garlic paste with 2 Tbs fresh lemon juice; set aside. Seed and cut the peppers into quarters; halve the onions lengthwise; cut the zucchini in half lengthwise. Toss these vegetables with olive oil to coat well; sprinkle with a little kosher salt. Grill the tomatoes whole, until the skin is blistered and beginning to char all over–5 or 6 minutes. Grill the cut vegetables about 5 minutes on each side, until they are soft and slightly charred. Put the peeled tomatoes, peppers, onion, zucchini, hot peppers, chopped herbs, and garlic-lemon mixture in a blender or food processor. Pulse to make a chunky salsa-like mixture. Add water, or chicken or vegetable broth to thin to the consistency you like. Add a little salsa or chile sauce for more zip. Season to taste with salt and black pepper, more lemon juice, balsamic, or red wine vinegar. Chill the soup , if desired. Serve sprinkled with more fresh herbs. Pass bowls of diced cucumber and finely chopped onion, and hot garlic croutons. My seeds from Italy came in the mail! The packages are big and beautiful, with gorgeous photos and information printed in many languages. 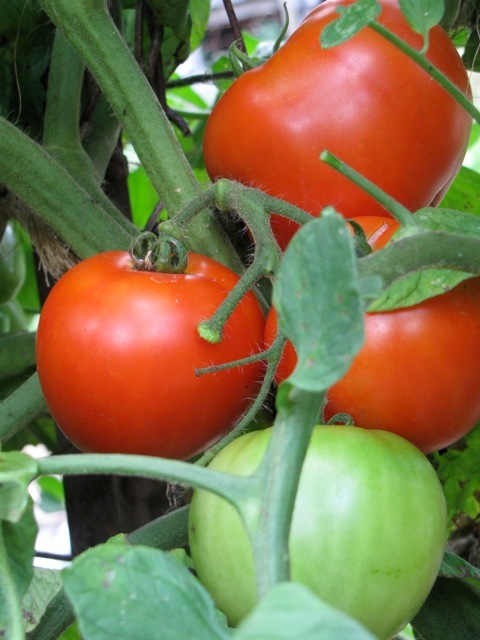 The new owners of the Seeds from Italy Company, Dan Nagengast and Lynn Byczynski, are experienced flower and market gardeners, so their e- newsletter is full of useful information and tips to make you want to start planting RIGHT AWAY! 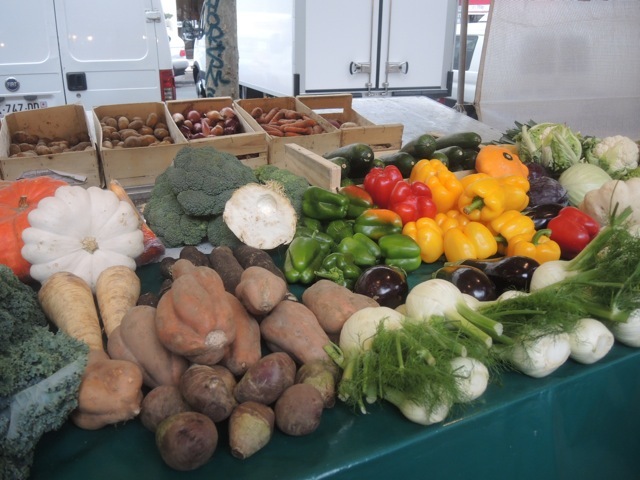 It also makes you want to try all 18 zucchini varieties and 31 chicories, not to mention the wonderful peppers, tomatoes, and beans…each essential to a particular regional cuisine. “In Italy, growing vegetables is not thought of as a separate activity from cooking”, they explain. Of course not! 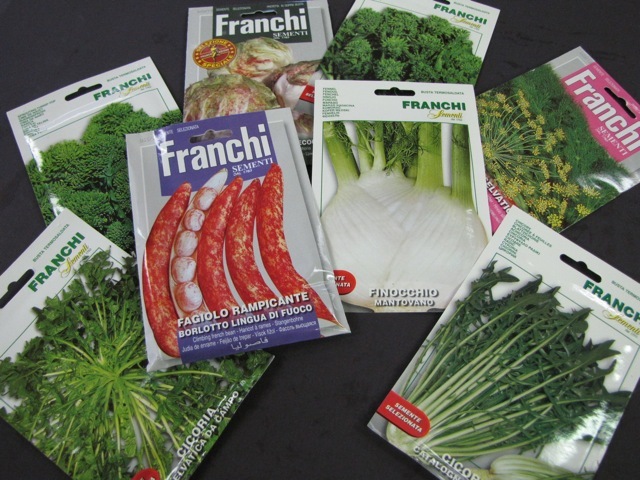 I ordered fennel, so I can make fennel gratin…wild fennel, so I will have the seed for authentic Southern Italian flavor…two kinds of cima di rapa (broccoli rabe, or raab) for dragging through garlic oil (aglia olio)…three chicories for salad and braising…. my favorite sweet pepper, “Corno di Toro”…and borlotto beans for my favorite bean soup made with freshly shelled beans. I couldn’t resist the name, “Fagiolo rampicante borlotto lingua di fuoco”. They turned out to be the same bean I have been growing for years that is called “Tongue of Fire” in U.S. seed catalogs! Borlotto beans are also known as “cranberry beans” or “Roman beans”. How do you make this wonderful soup? Most places you will have to grow your own beans to have fresh shelled beans, unless you live around a lot of Italians. Any fresh shell beans can be used, but the Borlotto (or Cranberry) beans have a unique, almost chestnut-like flavor. 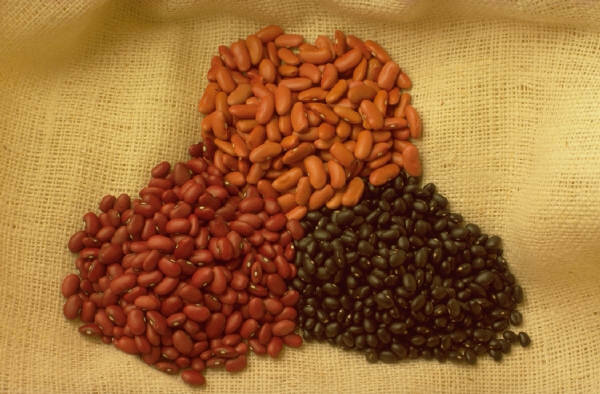 The beans are ready in late summer or early fall; they are big and plump and beautifully colored with dark red streaks and speckles. The shelled beans freeze very successfully in tightly sealed freezer bags. If fresh or frozen beans aren’t available, dried beans can be used. If you are using dried beans, soak 1 1/2 cups beans for 8 hours or so in water to cover by 3 inches. Drain and rinse before cooking. A quicker method: bring the beans to a boil in water to cover by 3 inches, turn off the heat, cover, and let sit 1 to 2 hours. Drain and rinse before cooking. Put the soaked beans in a large pot with fresh water to cover by 1 inch with one sprig fresh rosemary, 1 bay leaf, 3 sprigs fresh thyme, 1 small hot chile, and 3 smashed garlic cloves. Bring to a boil, reduce the heat, and partially cover. Maintain a gentle simmer until the beans begin to soften, 30 to 40 minutes. Add 1/2 tsp salt and continue to cook until the beans are tender but still firm, 10 to 15 minutes. Test several beans to check for doneness. The cooked beans will be added into the soup. To make the soup with fresh beans, you will need 3 cups shelled beans. Heat 2 Tbs extra virgin olive oil in a large soup pot or Dutch oven with 1/4 cup diced pancetta or bacon (this is optional but recommended). Cook over low heat until the meat begins to brown, about 4 minutes. Add 1 large chopped onion, 2 diced carrots, 1 small diced fennel bulb, and 2 diced celery stalks. Stir to coat with oil and cook, stirring frequently until they soften, about 6 minutes. Add 3 or 4 thinly sliced garlic cloves, 1 tsp chopped fresh rosemary, 2 tsp chopped fresh thyme, a pinch of red chile flakes, and a pinch of kosher salt. Stir 1 minute. Add 1 cup diced tomatoes (fresh or canned), 1 1/2 cups diced potato (or sliced green cabbage, if you prefer), and the shelled beans. Stir until the vegetables are heated, about 2 minutes. Add 1 quart homemade chicken or vegetable broth and bring to a simmer. Continue to cook, partially covered, until the beans are tender, 20 to 40 minutes. If you have started with dry beans, add the cooked beans and as much of their cooking broth as you like into the soup and simmer 5 to 10 minutes to meld the flavors. To thicken the soup, mash or puree some of the beans and stir them back into the soup. Season to taste with salt and black pepper. Serve with Pistou and crusty bread. Pistou, or pesto: In the late summer or fall, the pistou can be made with fresh basil leaves, but in winter or spring, I use parsley or a combination of parsley and sorrel or fennel fronds. Using a mortar and pestle or food processor, make a paste with 2 garlic cloves and a pinch of kosher salt. Add 2 cups fresh basil, parsley, or a combination of parsley, fennel, and sorrel leaves and pound or process to a rough paste. Add 2 tsp fresh lemon juice and 1 tsp lemon zest, and 1/4 cup extra virgin olive oil. Season with salt and black pepper to taste.